A Window object provides the backdrop for your app's user interface and provides important event-handling behaviors. It is responsible for loading and disposing of contained views, for managing interactions with those views, and for coordinating responses with any appropriate data objects. Windows also coordinate their efforts with other controller objects—including other windows and help manage your app's overall interface. WillShow() Use this event to be notified when window is about to be added to a view hierarchy. DidShow() Use this event to be notified when window was added to a view hierarchy. DidShake() Use this event to be notified when a shake event occurred. KeyboardWillShow(keyboard: Map) Posted immediately prior to the display of the keyboard. KeyboardDidShow(keyboard: Map) Posted immediately after the display of the keyboard. KeyboardWillHide(keyboard: Map) Posted immediately prior to the dismissal of the keyboard. KeyboardDidHide(keyboard: Map) Posted immediately after the dismissal of the keyboard. WillRotate(toOrientation: Int, duration: Float) Posted immediately prior to rotation of the interface. DidRotate(fromOrientation: Int) Posted immediately after the rotation of the interface. var transitionStyle: TransitionStyle The style used to transition between windows. func close() Close window (and remove from current navigation if any). func moveToNextField() Move the focus to the next field. func convertFrom(rect: Rect, view: UIView): Rect Converts a rectangle from the coordinate system of another view to that of the Window. 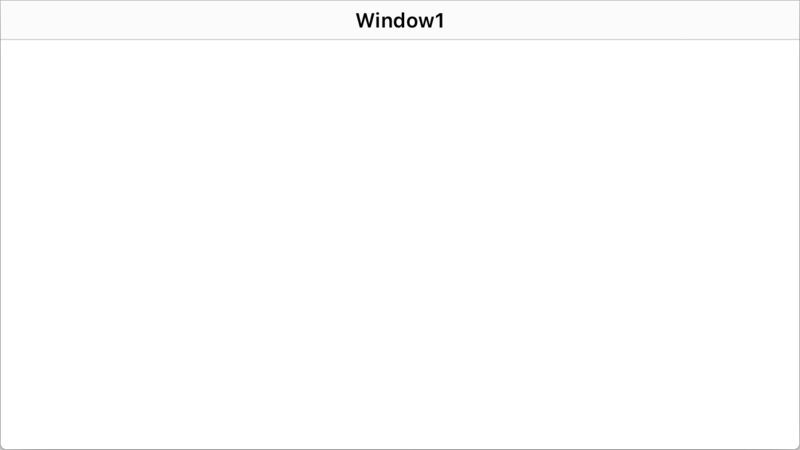 func convertTo(rect: Rect, view: UIView): Rect Converts a rectangle from the Window’s coordinate system to that of another view. func reset(forceGarbageCollector: Bool = true) Free the content of the Window, you can call this method on unused Windows to save memory. If the Window is used after calling the reset method, the content is reloaded just before presenting (before the execution of the WillShow event.